Lebanon’s rivers are alarmingly polluted with untreated sewage and waste, posing health risks for consumers who use the water at home and for farmers who irrigate their crops with it, local scientists warned. The latest findings, which confirm the results of a slew of research on river pollution over the past decade, come ahead of the government’s unveiling of a road map next week to fight the contamination of the Litani River Basin and Qaraoun Lake. Two new studies by Beirut Arab University and Lebanese University researchers show high concentrations of heavy metals, residue from olive oil production, dangerous bacteria and other toxins – evidence of untreated waste and illegal dumping in the Hasbani River in South Lebanon and the Lower Litani River Basin. “This alarming situation indicates that people using the water for consumption or recreation are at high risk of contracting waterborne diseases and that agricultural products resulting from irrigation pose a risk to residents of the basin or to consumers,” said Rasha Badr, lead researcher of the Hasbani study. The first study, conducted by Badr and overseen by professors in the department of biological and environmental sciences at BAU, measured the Hasbani’s water quality. Badr looked at various chemical properties of the water, heavy metal concentrations and pesticide levels, as well as the presence of dangerous bacteria such as salmonella and E. coli. She collected 60 water samples from 20 locations along the river from January to November 2013, and published the research in the Journal of Global Biosciences. Much of the pollution found in the Hasbani was the result of olive mill effluent, a byproduct of the manufacturing of olive oil in the region, making the river particularly toxic in November when the olives are harvested and processed. A significant amount of contamination was also caused by untreated sewage dumped in the waterway. The olive oil waste was likely responsible for the high acidity, which can poison marine plants and animals. High levels of phosphates and sulfates were also detected, a result of runoff from agriculture and raw sewage, which can promote the growth of algae that starves aquatic plants and animals of oxygen. All the water samples collected from the Hasbani were contaminated with E. coli and other microorganisms – proof that untreated sewage is disposed in the river. The second study measured the concentration of metals in the water and the riverbed sediments of the Lower Litani River Basin and was carried out by a team of researchers at the Lebanese University. The study found “remarkably high” concentrations of metals in the river sediments – substances that are toxic to marine life and humans using the Hasbani’s water. Sediment samples are good indicators of long-term pollution because the chemicals and waste settle on them, whereas water samples only offer a snapshot of the state of the river at the time they are taken. To get an accurate profile of Lebanon’s fast-moving rivers, water samples must be measured repeatedly over a period of time. The LU scientists measured the water quality and the concentration of metals in the sediment from February to September 2012, collecting samples from six sites along the river basin’s main path. The research was published in the Journal of Advances in Chemistry. The quality of the water itself was generally within accepted international limits, but the concentration of heavy metals, such as copper, iron, cadmium and lead in the sediment exceeded international guidelines at various times during the year. High levels of heavy metals can be toxic to aquatic life. Cadmium is particularly toxic to humans. Most of the heavy metals came from drilling activities, domestic and industrial waste and farming runoff, the researchers said. “If we keep doing this to our environment, there will not be a single, untainted spot in Lebanon anymore,” said Nadim Farajalla, the research director of the Climate Change and Environment in the Arab World Program at the Issam Fares Institute for Public Policy and International Affairs, who was not involved in the studies but has conducted extensive research into river pollution. Farajalla said the results of the studies were not themselves surprising, but were alarming because nothing had been done to address the problem over the last decade. Farajalla estimates that there are over 700 illegal dump sites throughout Lebanon, with solid waste and sewage contributing to the contamination and industrial plants in the Bekaa Valley polluting the Litani. In addition, military ordnance has had a role to play. In a study of the Ras al-Ain springs in Tyre, Farajalla was able to conclude that chromium and cobalt, two heavy metals found in the water there, were likely a result of an Israeli bombing near the source of the springs during the 2006 war. The Hasbani River area was itself a warzone and likely contains metals from material and debris from bombings, he said. Badr, who studied the Hasbani, said she did so because it was a source of water for Hasbaya and nearby villages and because of evidence of waterborne illnesses in the area. “Comparing the results … with that of the WHO guidelines clearly shows that the Hasbani River does not meet any guidelines and cannot be used as a water source either for human consumption or directly for irrigation,” she added. Badr said that local municipalities should process waste dumped into rivers and olive oil effluent could be treated and used as a fertilizer rather than dumped in the river. Farajalla said the problems could be easily treated as Lebanon did not rely on heavy industry and could therefore easily control pollution. One way to begin solving the problem is to connect sewage networks to treatment facilities and enforce penalties for illegal dumping. Treated wastewater can then be used for irrigation. Some farmers today resort to using unprocessed wastewater for irrigation, which can contaminate crops, particularly leafy greens that grow closer to the surface. In a recent interview with The Daily Star, Environment Minister Mohammad Machnouk said the government would conduct a survey of Lebanon’s rivers to determine pollution levels and develop a plan of action to address the crisis. Machnouk said that private water services often refilled their storage at the country’s rivers, increasing the danger for consumers, particularly amid expected water shortages this summer. 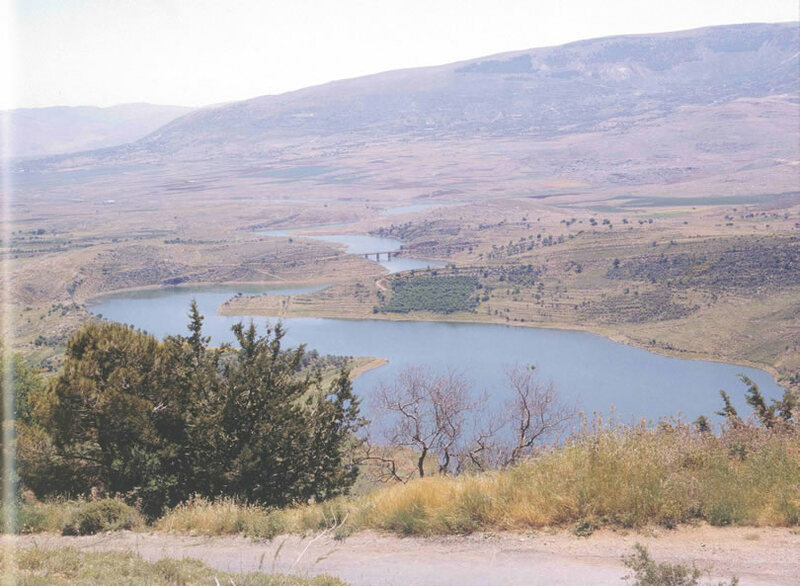 The Environment Ministry will hold a roundtable next Thursday at the Grand Serail to outline a road map to prevent pollution in Qaraoun Lake and the Litani River Basin.